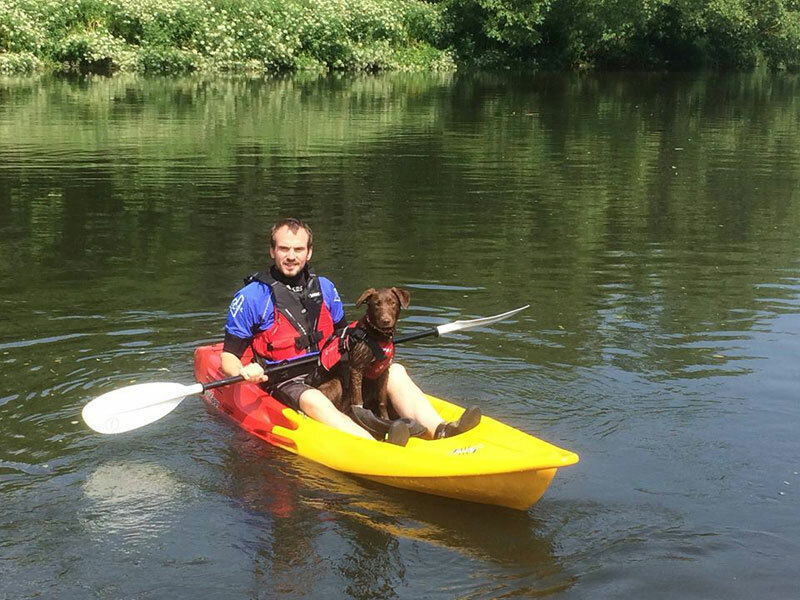 One of the top selling Sit On Top Kayaks over recent years, highly recommended for beach fun, exploring sheltered coast lines and inland paddling on lakes, canals and rivers. Available in a standard model or with a Wheel in the Keel to make transporting a breeze. 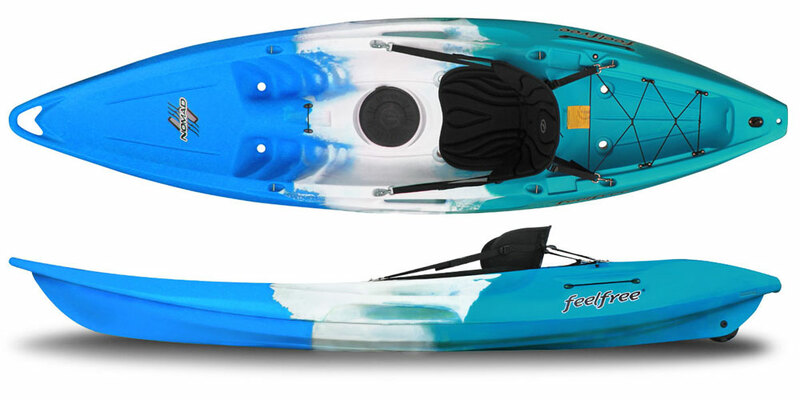 Renowned for being one of the best single seater sit on tops on the market for family fun, the Feelfree Nomad Sport is an excellent choice for those looking for a great all round kayak. The Nomads hull design provides greati initial stability and its defined keel increases tracking without affecting maneuverability. Whether your wanting to paddle on the coast, estuaries, inland waterways, canals, lakes, rivers or even have a play in the surf, the Nomad Sport will be with you every step of the way. Boasting moulded in handles not just at the bow and stern but at the sides as well, the Nomad Sport is proven to be easy to handle both on and off the water. Total weight comes in around the 20kg mark, making it a very manageable size for transporting, which can be easily accomplished on a standard car roof rack. The Nomads seating area and moulded in footrests offer plenty of space and increased comfort for a range of different sized users, be it an adult or junior paddler. A rubber storage hatch is also located in the centre of the boat, making it easy to access whilst your out on the water. A large rear tankwell also offers an additional area for storing everything from the essentials to just a trolley. The Feelfree Nomad Sport is available in a variety of different colour options and a variety of different seats and paddles dependent on your requirements and budget. Thigh Straps can also be purchased to provide additional control when playing the waves and a skeg can also be attached to the rear carry handle to increase tracking. This is an excellent option for both first time and junior paddlers. The Nomad Sport is also available in standard and with the wheel-in-the-keel options for easy transportation.